YWCA O'ahu warmly welcomes one of the newest members of its Board of Directors, Nicole A. Velasco. Nicole serves as the lead for business development in Hawai'i for NORESCO, an energy efficiency company. 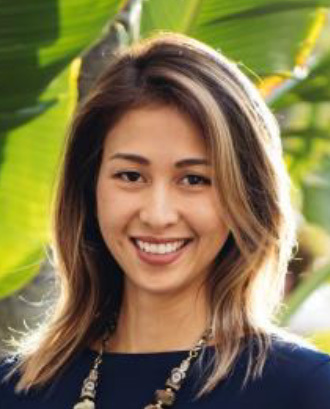 On behalf of NORESCO, she is responsible for creating awareness about Hawaii’s energy opportunities, supporting educational efforts to increase local workforce training in the energy sector, and driving impact through government systems and buildings upgrades at both the city and state level. Velasco previously served the City & County of Honolulu as executive director of the Office of Economic Development and as executive secretary of the Neighborhood Commission Office. Velasco has also worked as an analyst for the Hawai'i State Office of the Auditor and the Finance Committee of the Hawai'i State House of Representatives. She has been a government affairs advisor at Ashford & Wriston, LLP, as well, representing a variety of clients with legislative concerns in the State of Hawai'i. Q: Do you have any fond memories of YWCA O'ahu? A: My first experience with the YWCA ohana was in 2012, when I was an assistant coach for the Farrington (High School) women's water polo team. Without a pool on campus, our girls were grateful to have access to the locker rooms, gym and heated pool. For many of these student-athletes, going to the YWCA in downtown Honolulu was the greatest exposure they had outside of Kalihi. To know that they got to spend quality time together building collaborative skills in a safe environment was a gift that I know we'll never forget. Q: When you were younger, what did you want to be when you grew up? A: By preschool, I wanted to be a lawyer, doctor, and teacher ... all at the same time! I was pretty young when the O.J. Simpson case was live, and I was inspired by Marcia Clark, the lead prosecutor. Though I didn't fully understand all the details of the prosecution, I liked that she was speaking truth and leading her team. Q: What would you like to work on or accomplish as a member of the YWCA O'ahu Board of Directors? A: In alignment with my own personal missions, serving on the advocacy committee is what I am most excited about. While strengthening our laws is only one piece of the puzzle, we must have stronger laws to ensure the safety, protection and health of our community. Q: What advice do you have for empowering women and young girls? A: Discover your voice and be heard. Newer PostWelcome, Eden and Darlene!